I recently watched a video from Natural Hair Vlogger Melshary in which she stated that “natural hair is as expensive and as inexpensive as you make it”. This quote prompted me to write this article as I get several messages weekly from naturals and newly naturals who complain about natural hair products being expensive. Here are a few reasons why natural hair can become expensive. When I get messages from my followers stating that they’ve just went natural and they want to know what natural hair products I recommend, my first response is always “what products do you already have?”. Many newly naturals think that they have to buy all new products when they decide to forgo the relaxer in the hope that these products will help to achieve certain styles or provide hair growth. 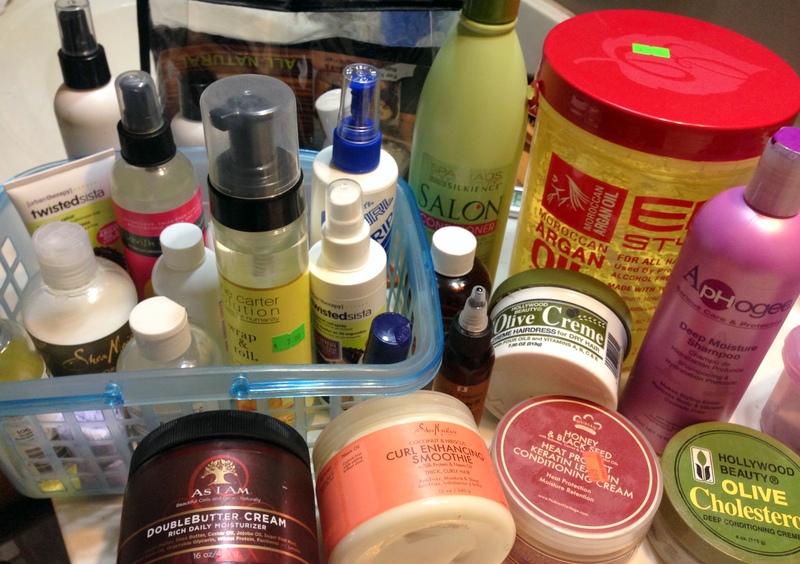 One can actually use the same products that they used on their relaxed hair for their natural hair. The stigma about relaxed hair products is that they are low quality and is the reason why many people did not see length retention while on the creamy crack. However, it is most likely that one was either relaxing their hair incorrectly or did not have a regimen that supported their hair needs. If one does not have general knowledge of hair health, then buying the “best darn curl cream” or “biotin infused conditioner” will be done in vain. It is not about the type of products that you use-though some work better than others-it is about how one effectively incorporate them into their regimen. I see this often when I watch natural hair tutorials on Youtube. I’ve seen a twist and curl tutorial in which seven products were used. Seven. It can be easy to be overwhelmed and discouraged as a new natural looking to learn more about natural hair. Sometimes we over-do it with the product, I am definitely guilty of that. Natural hair products are relatively expensive because they are made with mostly natural ingredients. Sometimes, the price determines how concentrated a product is. You may not need to use as much product that is $20 versus one that is $10. For instance, I love the As I Am Coil Defining Jelly, but was getting frustrated with the little amount of product that I was getting for the expensive price. 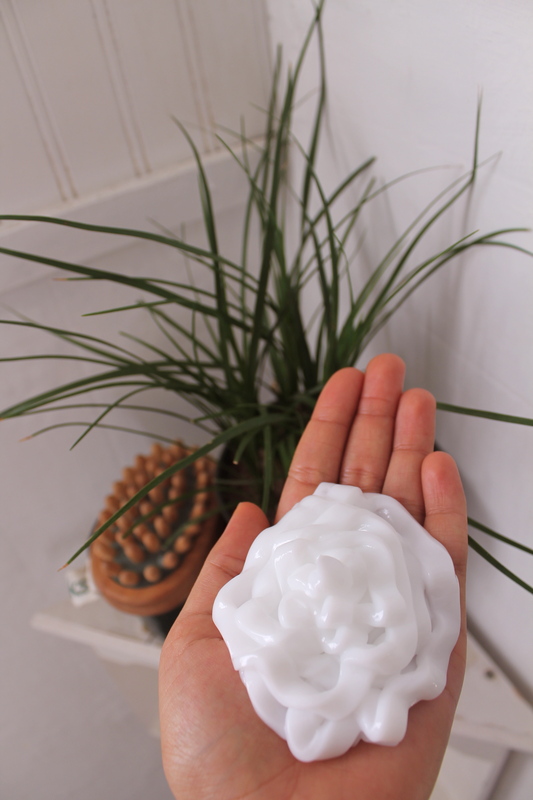 When I would style my hair, I used just as much jelly as I did when using the Eco-Styler Gel which is a fraction of the price. The more that I used the jelly, I realized that a little (very little) goes a long way. I am spending a bit more, but I am getting more use and better results with the jelly than with the cheaper gel. The Cherry Lola Method, the Max Hydration Method, the LOCO Method, this list can go on and on. We oftentimes get so caught up in these new techniques that we forget about basic hair care. Trying out new techniques often can become expensive. There is always going to be a new technique that promises better hair, especially with the growth of the Natural Hair Community. 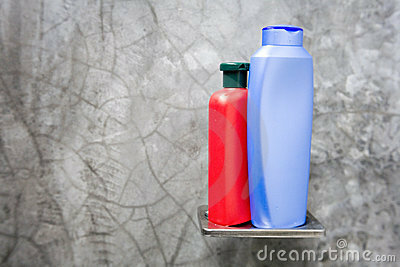 Most of the time, a consistent basic hair care regimen will help to solve most of your hair problems. I write this article in hopes that it will encourage people to learn more about the science of their hair and to stop putting the blame on natural hair out of ignorance. Ultimately, you have control of how expensive you allow your natural hair to be and it all starts with knowledge. How do you make natural hair affordable? Chime in below. I thnk there will be an expensive at first but once you figure out what your hair likes and dislikes, the cost goes down tremendously. No more trial and error. No more experimenting to keep up with the Jonses. Bottom line, do what works for your hair. Yes! I totally agree. Thanks for commenting hun! When I first started out on my healthy hair journey, I purchased everything and had no money for fun stuff (sad day). The issue was that I was not consistent with anything. So I cut a lot of products down by purchasing the main ones: clarifier (ACV), co wash (Trader Joe’s Condish), leave-in (Shea Moisture Yucca Milk), and oil (coconut oil). These products helped me to perfect my hair care regimen techinque. I feel any products can be used for healthy hair, but the technique of caring for your hair helps your hair to be healthy. Hair care does not have to be expensive as some people make it out to be. Yes exactly!! Technique does make a huge difference. A lot of us get caught up on finding the perfect product. One can have the best product in the world, but it’s pointless if they don’t know how/when to use it. Thanks for reading and commenting! Hey fellow BLM Girl! 🙂 Just leaving my hair alone works well for me too. It thrives so much better than when I’m constantly doing stuff to it. Thank for visiting!! !